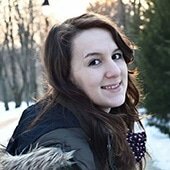 I could make tons of different recipes, which are low-carb, completely sugar-free and keto with only a few ingredients. 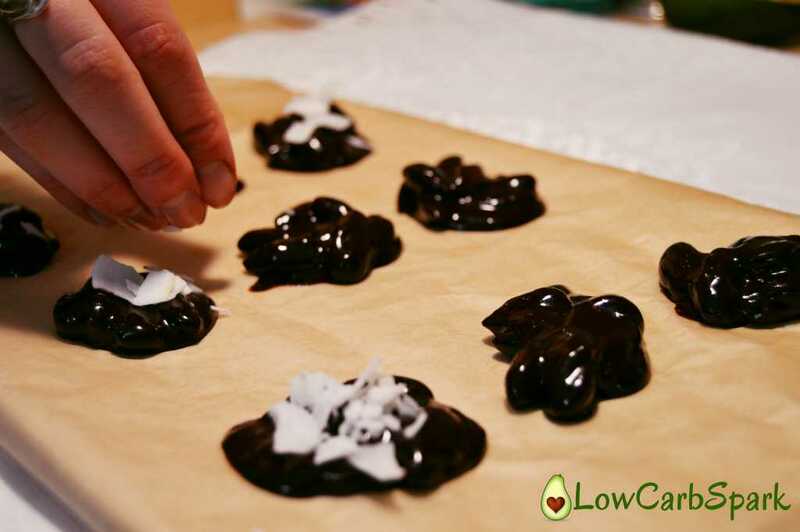 Trust me, after you will make these Keto Dark Chocolate Almond Clusters, your cravings for sweet and crunchy dessert will be long gone. It’s that moment of the day when I’d do anything for a sweet treat. But, you know when following a low carb, keto diet we should stay under 20g of carbs and added sugar it’s a no-no from the beginning (for many good reasons). 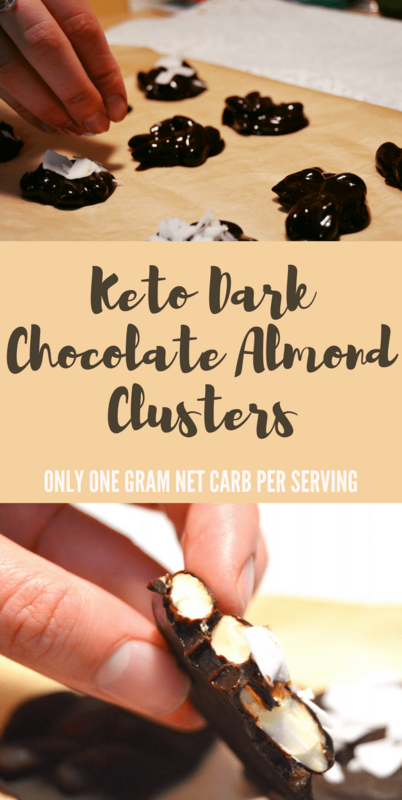 Each keto almond cluster comes to around one gram carb per serving, making it one of the perfect keto low carb snacks. Going easy and simple with the recipes it’s my key advice that I follow every day and keeps me accountable in the long run. Melted butter and dark rich chocolate with freshly roasted almonds and a bit of allowed sweetener sound heavenly to me. 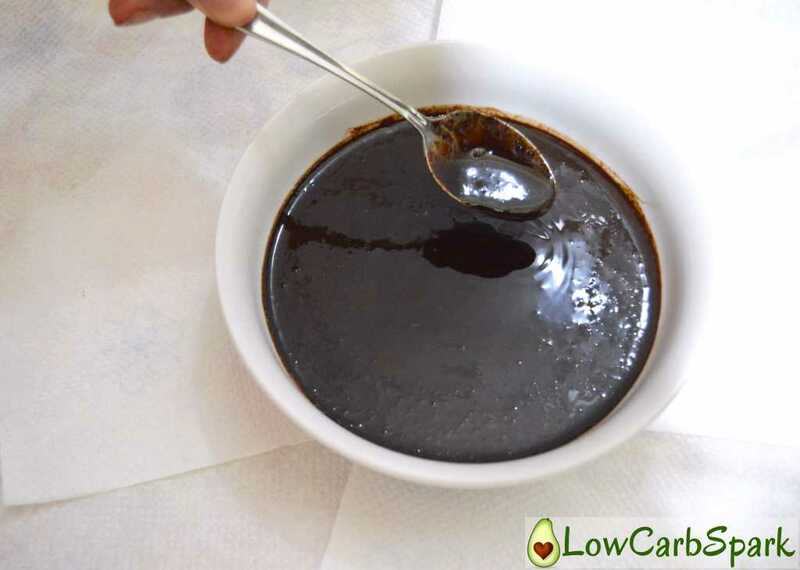 I used Tagatesse which it’s by far my favorite low-carb sweetener, and I’m sure you will love it too. It has no aftertaste and creates no tummy problems if consumed in moderation. You can buy it here! If you don’t get along with sweeteners, you may not include it in this recipe, and the final product will still taste delicious. 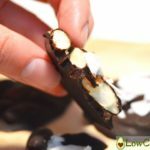 How to make keto almond clusters? I took one bar of my favorite dark chocolate and chopped into little pieces, so it can melt easier in the microwave. 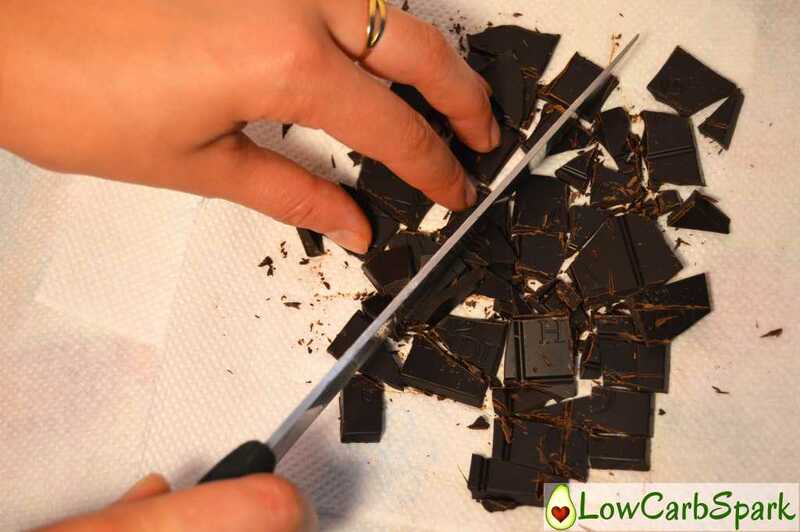 Make sure that the dark chocolate you choose has at least 85% Cocoa. You can also use flakes or dark chocolate chips. You can carefully melt these two ingredients in the microwave to make things faster, or you can use the double boiler method (Bain Marie). 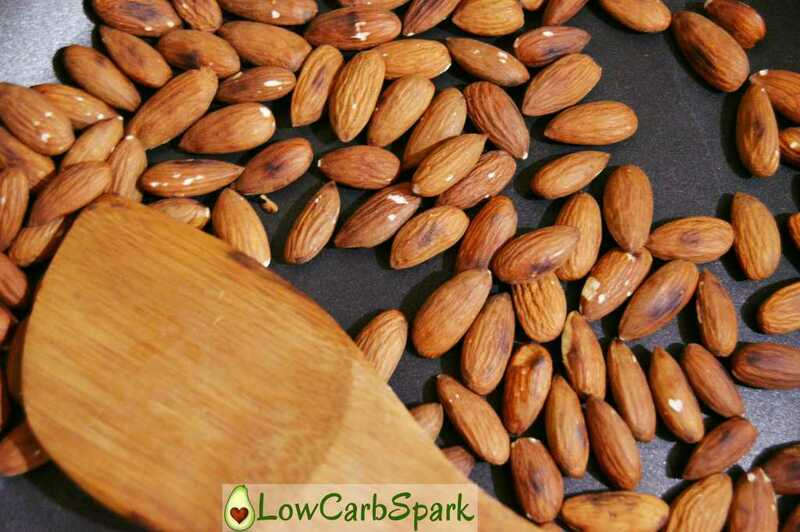 To prepare the almonds and give them a nice roasted taste you, use a frying pan on a medium heat, add the almonds and stir until they start to get a nice brown color. 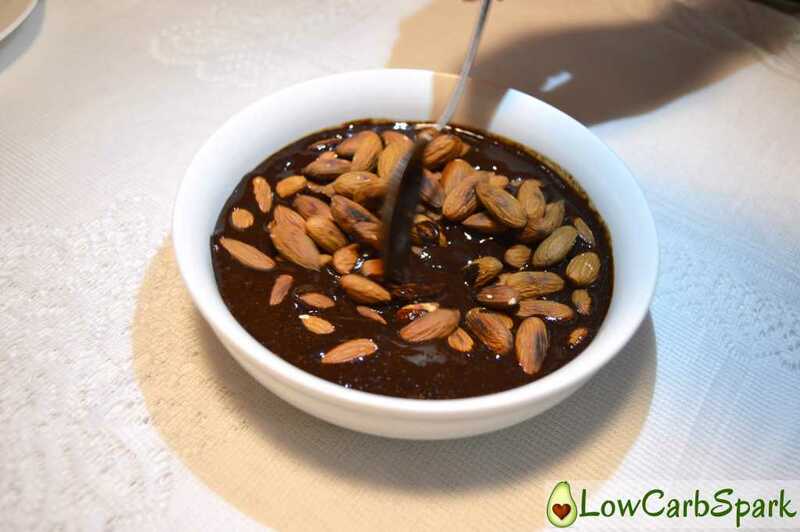 Let the almonds cool down, then coat them with the delicious chocolate that we just prepared earlier. If your mixture it’s too liquidy put it in the refrigerator for a few minutes. It will think up and make the composition easier to portion into little cute cookie-like shapes. 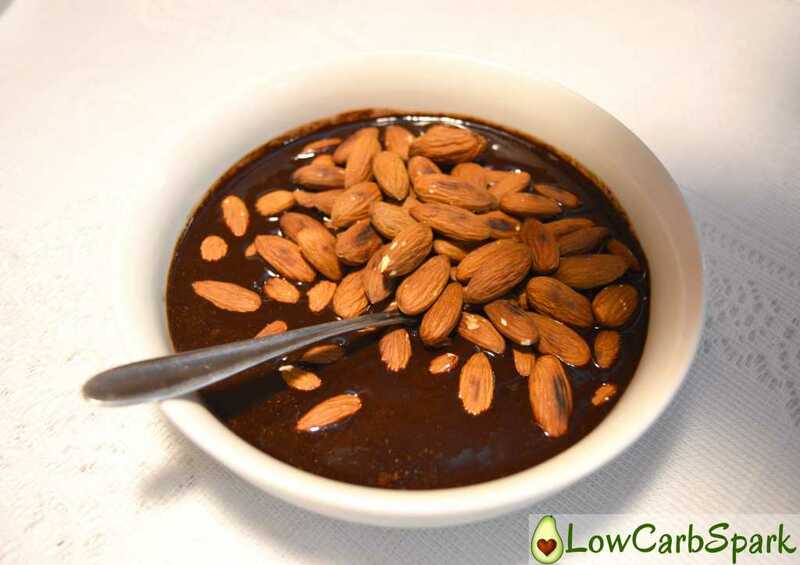 Drop tablespoons of the chocolate almond mixture onto ungreased baking sheets. Let the almond clusters chill in the freezer for 30 minutes. Then they are ready to serve. They should look something like this. There are many proven health benefits of eating dark chocolate. I chose to include only dark chocolate into my keto diet because it’s high in nutrients like iron, magnesium, copper, potassium, zinc, and selenium. The fiber content is great, and you want to get as much fiber as you can in a keto diet. To add more creaminess and healthy fats content I added some of my favorite grass-fed butter. Let me tell you a secret. Sometimes I eat butter with a spoon, and my health & energy levels have never been better. We should not blame butter for what carbs did. 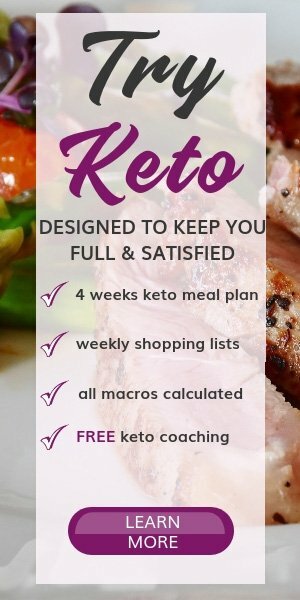 What are the macros for the keto almond clusters? This recipe yields 17 keto almond clusters, and 1g NET carbs each. If you give this recipe a try, let me know how it turned out. Comment below with your opinion and suggestions for future recipes that you want me to try. This is one of the simplest recipes (with only three ingredients) that turns out great, every time. There it's no way to fail at making it! Enjoy a perfect keto dessert or low carb snack with only one gram of carbs per serving. 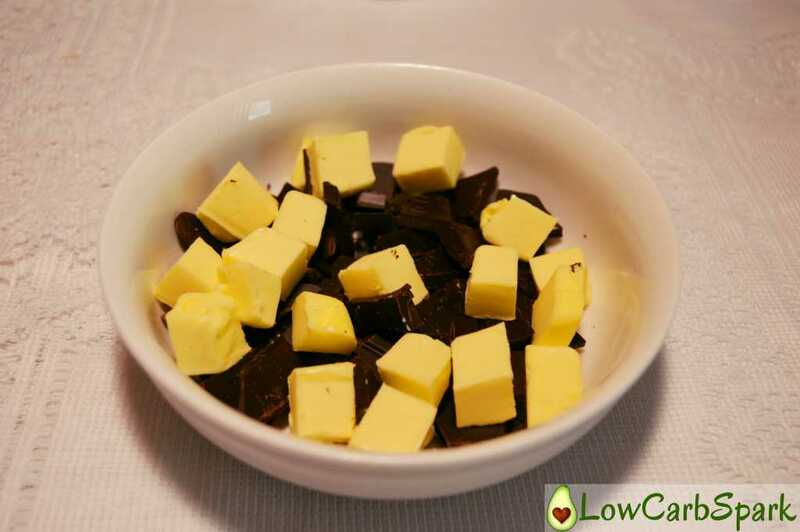 Melt the butter & chocolate in the microwave or use the double boiler technique. 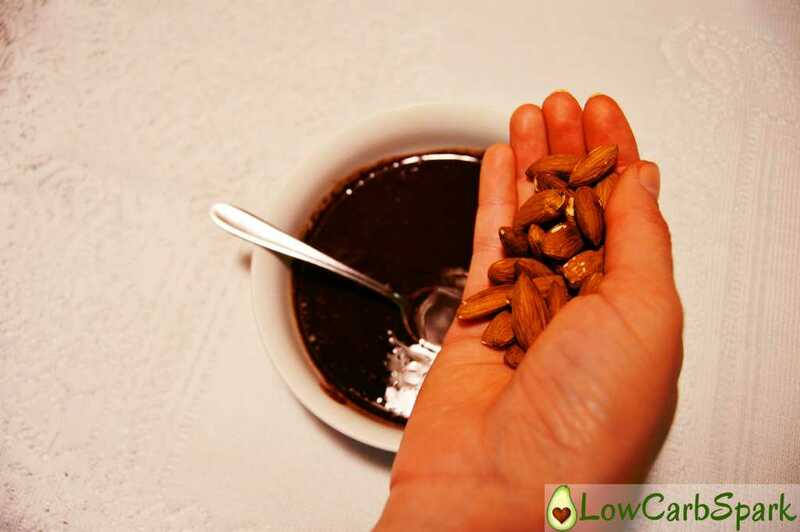 Mix the chocolate cream and almonds. Put the mixture in the refrigerator for 10-15 minutes to make it thicker and easier to use in the next step. Let the almond clusters chill in the freezer for 30 minutes. Then they are ready to serve. I'm a butter eater too Ioana. Either someones loves it or doesn't. It's good for us! 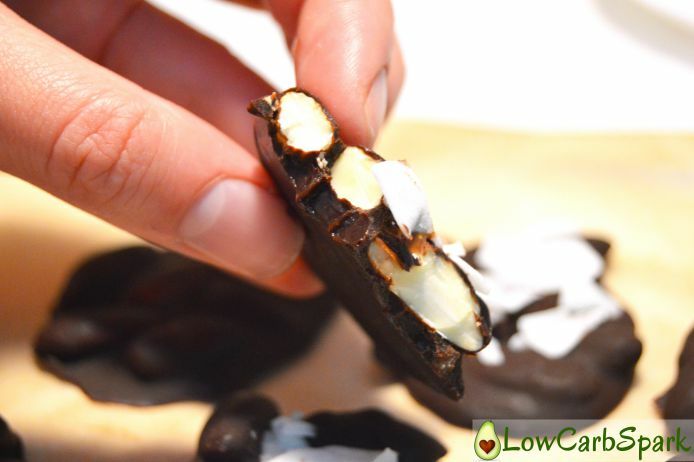 My husband will love this dark chocolate-and-coconut combination. He's been sad that he couldn't have his favorite chocolate-and-coconut candy bars. Simple, good, and good for us, what's not to like? I love simple and delicious recipes. Thanks for stopping by and I for all your kind comments. You made my day!! Thanks for the recipe! I've been trying not to use any artificial sugar, so I added a little vanilla instead of a sweetener, and they are wonderful! How much vanilla..I’m going to try to make them and does it make them sweet enough?